Happy SysAdmins Day! Around the world, the last Friday in July is known (at least by some) as SysAdmin Day. The idea is that on this day, we show our appreciation to SysAdmins for the tireless, never-ending work that they perform behind the scenes that allows so many people to get their work done. It’s not as popular as Talk Like A Pirate Day, mainly because SysAdmins don’t go around thanking themselves for the work they do. Arrgh! SysAdmins don’t get the big commission checks, or the quota bonuses, and they won’t be sent on luxurious vacations for closing a huge deal, but if they slack off, let something slip, miss a step, or just don’t quite give it 110%, 24×7, things can go very wrong for all those folks who get the fortune and glory. So if you are one of those folks who think SysAdmins sit around in the dark all day, wearing sunglasses and black t-shirts while playing video games, we present a list of the 47 things to thank a SysAdmin for. 1. While you are still pouring your coffee or walking the dog, a SysAdmin is checking email for any alerts or urgent requests. A SysAdmin’s day starts long before yours does. 2. By the time you have gotten into the office, a SysAdmin has been there for an hour or more. Sure, you won’t see him in person until s/he rolls in an hour after you do, but what you don’t see is that they were on the VPN before you started your commute, taking care of business. 3. You may think it is rude for that SysAdmin to be tapping away at their laptop during the staff meeting, but since issues don’t care what your calendar looks like, appreciate the fact that they made it to the meeting, considering the amount of work they must do throughout the day. 4. SysAdmins don’t eat at their desk because they are antisocial, they do it because it is one of the most productive times of the day, when their phone won’t ring and their inbox is calm, and all the people who IM the SysAdmin throughout the day are away from their desks. It’s the only time they can’t get caught up. 5. Does your SysAdmin leave before you do? They probably do so they can beat traffic, since configuring a server while driving is dangerous, and they have plenty of work ahead of them this evening. 6. While you are enjoying family time at home, you can bet the SysAdmin has received at least one phone call and three urgent emails to take care of something that just can’t wait until tomorrow. 7. While you are getting ready for bed, the SysAdmin is probably on the VPN again, getting ready to deploy the change or upgrade that has to wait until after hours because the business can’t possibly survive a two-minute reboot. 8. 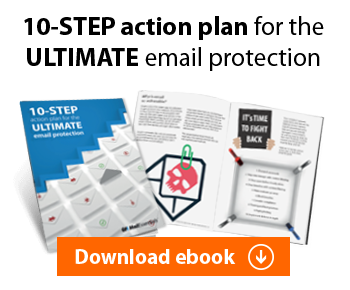 All the emails that you received overnight from customers, coworkers and others, got to your inbox because a SysAdmin takes care of the email system, ensuring it is available 24×7. 9. Are you reading it on your smart phone? That only works because your SysAdmin took care of all the backend pieces to make that work. Your carrier has nothing to do with it! 10. 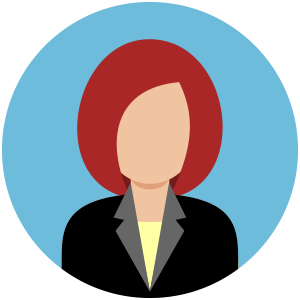 Do you have to use a badge or fob to get into the parking lot or through the doors into the office? If you do, there’s a SysAdmin who keeps those systems running. 11. When you log onto your computer to get to your stuff, but no one else can, that’s because a SysAdmin is taking care of security. 12. Those pending orders that came in through the website last night were made because the Internet doesn’t clock out for the day, and neither do SysAdmins. 13. All those reports that are automatically generated and in your inbox when you get into the office each day depend upon SysAdmins to keep the scripts running. 14. Unless your telephone system is from the 1950s, there’s a SysAdmin taking care of that too. 15. That you are reading this blog post is only possible because a SysAdmin is taking care of Internet access, DNS, the security to keep Internet access safe, and making sure that good websites like this one are not blocked by the proxy. 16. That meeting reminder you just hit snooze on keeps you on track thanks to a SysAdmin. 17. That you were able to book a conference room, instead of playing musical chairs in the break room is because a SysAdmin took the time to get all the rooms into the system and set them up for scheduling. 18. When something stops working and you have to open a help desk ticket, there’s a SysAdmin back there either taking care of the issue, or making sure the Help Desk techs can. 19. The typical SysAdmin wakes up, and is checking their email before they even get out of bed. 20. Any alerts, outages, or really hot issues means the SysAdmin is connecting to the VPN before they even get a cup of coffee. 21. Hot issues resolved, the SysAdmin will continue checking their email to ensure backups all ran, scheduled tasks completed successfully, and to see whether they can drive into work without having to be on a morning stand up call. 22. The drive in will be spent either catching up on the overnight voicemails or attending that morning standup call. 23. Once in the office, the SysAdmin will probably solve at least three problems before they even get to their desk, as people like walk-ups, but love walk-bys! 24. Most SysAdmins will grab another cup of coffee on their way to the desk. As they are the only ones who seem to know how to load the coffee maker, they may have some “me time” to answer a few emails while they wait for the pot to brew. 25. Coffee in hand, they try to get to their desk without spotting the blinking light of a printer out of paper. The odds of that happening are 3,720 to 1 against… so they probably load the printer, and then cancel the 50 duplicate jobs someone queued up because the printer “wouldn’t work”. 26. Finally at their desk, the SysAdmin will start triaging the day’s tasks and lining them up against the pending work, the status meetings and the project status reports that they have to do -daily. 27. Uh oh, looking at their watch they realize there’s a daily project status meeting they have 30 seconds to get to, so they grab their laptop and head to the conference room. 28. The organizer is running late, so another precious ten minutes of “me time” to get a couple of more emails out of the way, and a quick check of XKCD.com to try to brighten the day. 29. If there’s something to show up on the screen, you can make book that the SysAdmin in the room will be the only one who can get the projector to work with the presenter’s laptop. 30. Meeting started, so do the incoming IMs from different folks needing different things. That SysAdmin isn’t being rude, they’re multitasking! 31. Meeting adjourned, the SysAdmin makes their way back to their desk, to find some random piece of hardware sitting there with a post-it note saying “Please fix!” but no other information. These go into that special closet that looks like the Room of Requirement from the Harry Potter films, because no one ever comes back to claim their broken hardware. 32. Ah yes, lunch time! The SysAdmin will answer 12 emails while their food is heating in the microwave, another ten while eating (mind the crumbs and horrible grammar as they type one handed while eating with the other), accomplish at least two upgrades while no one is looking so they might get to bed at a decent hour tonight and, if they are really lucky, they’ll get to spend 20 minutes or so on the self-study “training” that they got because there’s neither budget nor time to send them to a proper class. 33. Then they will address the hot issue of the day that bothered some executive, who called the SysAdmin’s boss to complain. It will usually turn out to be user error or the wrong version, or the wireless was turned off, but there’s nothing like getting yelled at for something you didn’t do, didn’t hear about and took care of as soon as you did to make a day go quickly. 34. The afternoon goes much the same as the morning, right up until half before quitting time, when they get that urgent phone call from someone who has some critical problem that must be addressed right now because it has been broken all day! If someone can please explain why, if the problem has been there all day, the caller waited until the end of the day to let anyone know? We’d all appreciate that special insight into the human psyche. 35. Problem solved, the SysAdmin gets to head home. They’ll probably get at least two phone calls on their commute home. 36. Their dinner time will likely be interrupted by at least one other phone call. 37. After dinner, the phone goes on silent and gets left in the other room, the laptop remains closed, and the SysAdmin gets to finally enjoy a whole thirty minutes of time to unwind. Most spend this time watching “The Big Bang Theory” – That Koothrappali is so funny! 38. Fun time over, the SysAdmin pulls out the laptop and starts getting caught up on all the emails they couldn’t respond to during the day. 39. Family tucked in to bed, and most of their colleagues also asleep, the SysAdmin gets to spend an hour or so playing Diablo III or Halo so they can stay awake long enough to run the evening’s scheduled upgrades. 41. …They will probably have to be on at least one conference call with the other side of the world before the finally get to go to sleep. 42. Is either staying up even later one night, or getting up really early one day, to deploy the week’s round of patches and updates that will require reboots. 43. They may be going into the office at least one day to do the cabling, replace batteries in UPS units, or to upgrade hardware that can only be done on a weekend. 44. If the break room fridge is cleaned out on Monday, you can bet a SysAdmin did it while they were scavenging for anything palatable during that weekend work. Very few pizza places deliver at 3AM. 45. And since Australia’s Saturday is still America’s Friday, and Australia’s Monday is America’s Sunday, you can bet that many SysAdmins in global companies end up working a six-day week. 46. A SysAdmin must essentially completely relearn their job every three to five years. 47. Knowledge that is older than that might be useful if the SysAdmin has to support a “legacy” system (in IT, legacy is a code word for ancient) but otherwise, such knowledge is of little practical use. Sure, all jobs require constant learning, but the degree to which SysAdmins must learn new skills is at the extreme right end of the bell curve. 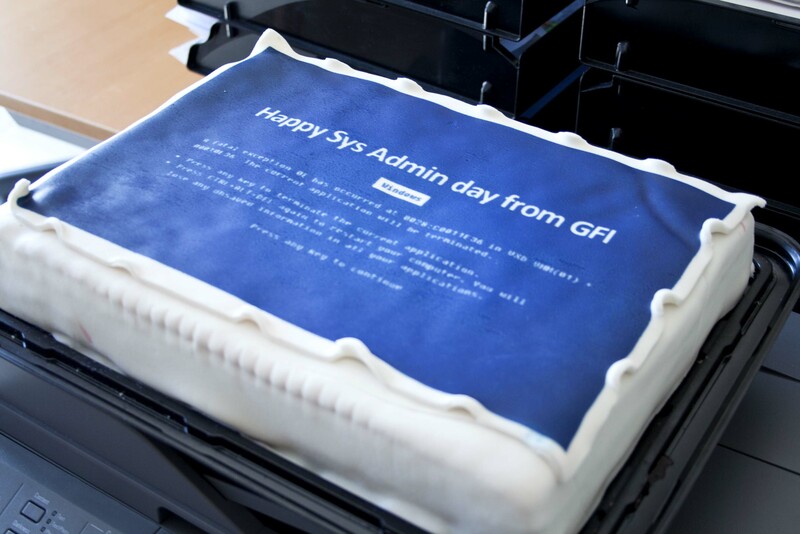 So on this special day, thank your SysAdmins for the job they do every day. They wouldn’t have a job without you, but your job probably wouldn’t be possible without them. It’s a simple gesture, and they may down play it, but they’ll also remember it the next time you need a mailbox restored or when the new hardware comes out and you need an upgrade, and it never hurts to be on the nice list. And to all of the SysAdmins out there who read our blog every day, we hope you have a wonderful SysAdmin day and you can enjoy one night of peace. You do a great job each and every day and we thank you for it! 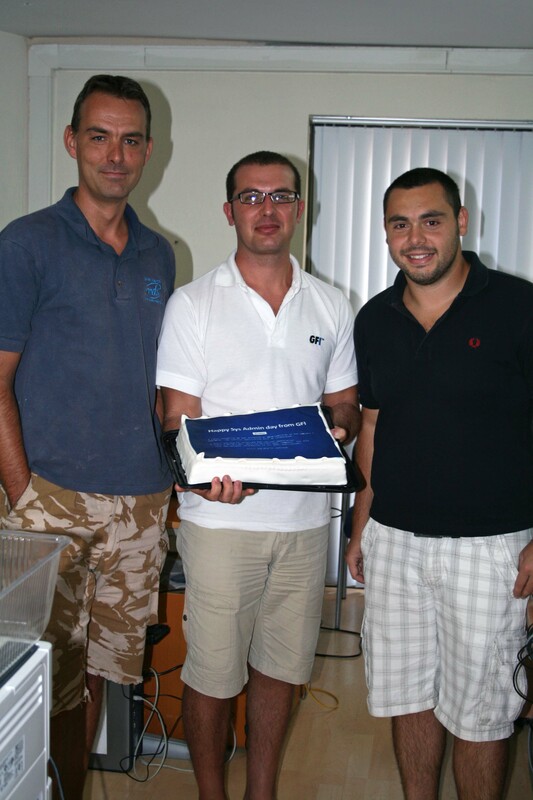 Three of our awesome SysAdmins here at GFI holding their surprise cake – A BIG thank you to these guys for all their work! 48. The sysadmin will begin reading this list, and halfway into each entry, they will have to stop to work on a task, fix a server, or answer a few emails. Love this so very true if only everyone knew. It took me 2 months after I retired to stop worrying about users/systems/backups/upgrades/migrations/disaster recovery plans and testing/stretching the useful life of machines past what is ‘economic’/etc … I never realized my job was stressful till it wasn’t there for a few months. … Boy, I miss it. … Sometimes even the users.